We have worked closely with our clients for nearly 14 years. We know your practice depends largely on the people you employ; therefore, it also depends on the people you employ to find them. The quality and consistency of care and patient experience you provide to your patients is the foundation of your practice. The quality and consistency of service you receive from Ondonte Dental Staffing is the foundation of the trust you place in us as the staffing resource for your practice. Staffing is so much more than just filling vacancies. 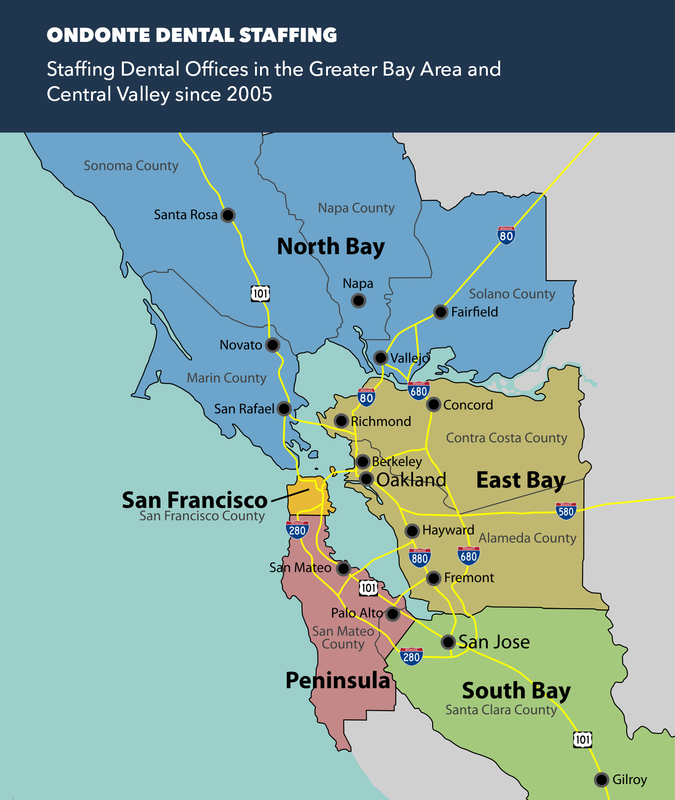 Ondonte Dental Staffing is dedicated to making sure the right fit is the rule, not the exception. Are looking for additional days to fill your schedule or are you seeking a permanent part-time of full time position? We are committed to working with you to help you achieve your objectives. “A core principle in our mission is to always go beyond just making placements to achieving the right fit for both the candidate and our client”. There is no fee to sign up with Ondonte Dental Staffing. Our client is the doctor and their practice. They pay all fees related to temporary assignments and permanent placements.